Find Your Way Quick and Easy — There’s nothing worse than being lost in an unknown environment when you HAVE to be at that big meeting. TravelTab gets that. That’s why you won’t find a more robust, easy-to-use navigation system on the market. 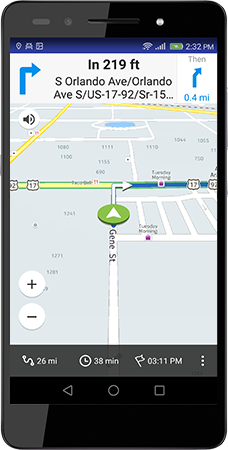 The TravelTab Navigation system features turn-by-turn directions, voice-activated guidance, multi-language support, real-time traffic details, quickest routes, accurate and current maps, and so much more. You’ll be navigating like a local in no time with TravelTab Navigation.